When you’re a start-up restaurant business, one of the things you should never overlook is the creation of a dinner menu. This will give your customers a better understanding of what exactly it is that you offer and what kind of food you prepare. It’s one thing to simply let them know about your food choices however, and a completely separate thing to entice them with your menu. That said, it’s important that you make sure your menu doesn’t only give them the important information, but also provides them a visual experience on the food choices you have. It’s ideal that you, as a restaurant owner, make the most out of your menu by adding in the right designs and incorporate the proper aesthetic to entice the people who read it. Making a dinner menu template for your business won’t only allow you to personalize your menu, but will also give you a ready framework that you can update in case your menu goes through changes in the future. Choose Your Software – When making a dinner menu template, it’s ideal that you choose the appropriate software to help you along with your endeavor. If you think you can handle something as advanced as a photo editing software like Photoshop, then you can go on ahead and make use of that. If you’re a little less tech savvy however and you want to make your dinner menu template sans the effort, you can choose something as simple as Microsoft Word. In either case, see to it that the size of the paper you’re working on is adjusted to the document you’re making to avoid any discrepancies once you decide to print it out. Use Relevant Photos – When people see the food you offer, they’re more likely to be enticed to try it. That said, when you design your dinner menu template, make sure you add in lots of relevant photos to make your customers even more interested. It would be a good idea to include photos of the best sellers, and if you can, make sure they’re your own photos and not sourced elsewhere on the internet. Make Fonts Readable – Some of the food you have on your menu might already be tough to pronounce or read on its own; using a confusing font might just exacerbate the whole process. Make it easy for your customers to understand what’s written on your menu by using big, bold, and readable fonts for your headers and content so nothing gets lost in confusion. The Mexican menu template is quite suitable for an ethnic café or any other related restaurant. The menu template is created using cells and tables for easy update. The backgrounds are made using layers in Photoshop, change or easy to move images if needed. The files are conveniently structured in easy to edit folders. You also get the flexibility of changing text, editing colors, moving items, turning off layers and creating different types of looks. The template includes all text styles. This template pack consists of 2 PSD files, read-me file and sample preview files. This is a template that is suitable for almost any type of café or restaurant that requires an elegant and clean template for take-out menu design projects. The template can be used for frequently updating take-out menus in regards to the ingredients, pricing changes or dishes. This gives you the flexibility of printing your updated menus as required. This is a template that can be used in a single page using different colors and serves best for making creative menus for restaurants. This kind of template looks quite professional featuring beige-brown design on a detailed paper texture with brush-frame images and brushed headings of the menu sections. The template is ready to use with clipping mask layers making the brochure design look decent and representing your food business in the most effective manner. You also get a representative logo with this template. You can replace this logo with your restaurant’s logo. 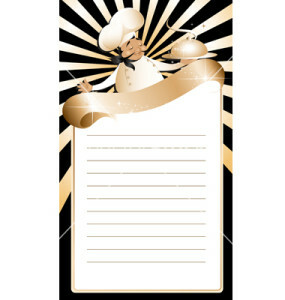 Italian Menu Template is perfect for people into Italian café business or any other related business. This menu template has been made using cells and tables that can be updated very easily. The Modern Restaurant Food and Drinks Menu template is available in A4 format featuring both RGB and CMYK formats. You have the opportunity of choosing any one of these formats. Apart from using these templates, there are a few simple rules that you also need to follow at the time of designing your restaurant menu. If you are able to use these templates in an ingenious and innovative manner then you will surely have thousands of customers coming to your eatery on regular basis.